From the lively waterfront restaurants of cosmopolitan Cape Town to the high mountain peaks of the Drakensburg, from the sub-tropical climate and Indian markets of Durban to the majestic wildlife of Kruger’s National Park, South Africa is deservedly known as a ‘world in one country’. Visitors are always surprised by the diversity of what is on offer and this together with its appealing climate means South Africa can provide a holiday experience to suit all preferences. Sharing almost the same time-zone as London and so with no discernible jet-lag factor, an overnight flight to Cape Town has you arriving refreshed and ready to start your trip from the moment you touch down. 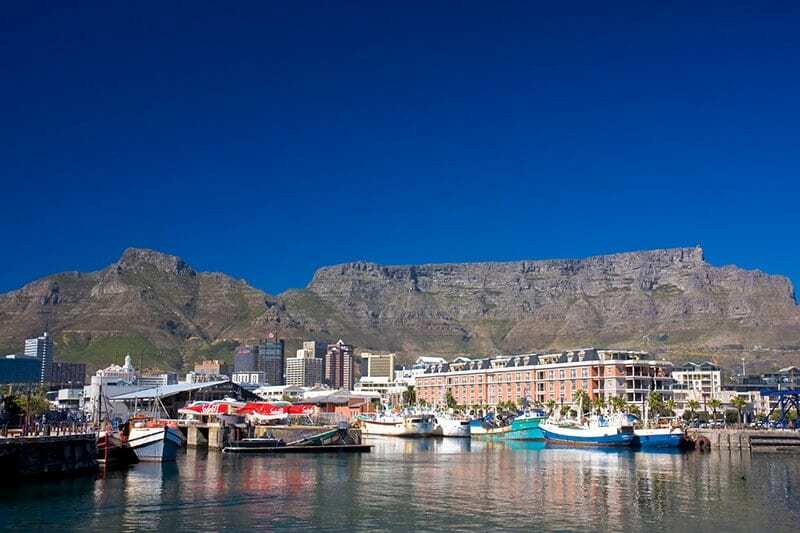 Located beneath the craggy heights of Table Mountain this historic port at the very end of the African continent is regarded as one of the most beautiful cities in the world. Stroll along the V & A Waterfront which is a great haunt for ‘foodies’ and chic shoppers, take a boat trip to Robben Island where Nelson Mandela was imprisoned for 18 years or have a day-trip to the stunning Cape Peninsula being sure to call by at Boulders Beach to see the very jolly colony of penguins. An hour’s drive from Cape Town, the Winelands are renowned both for the loveliness of their idyllic setting in the heart of stunning countryside and of course for their world famous wines. 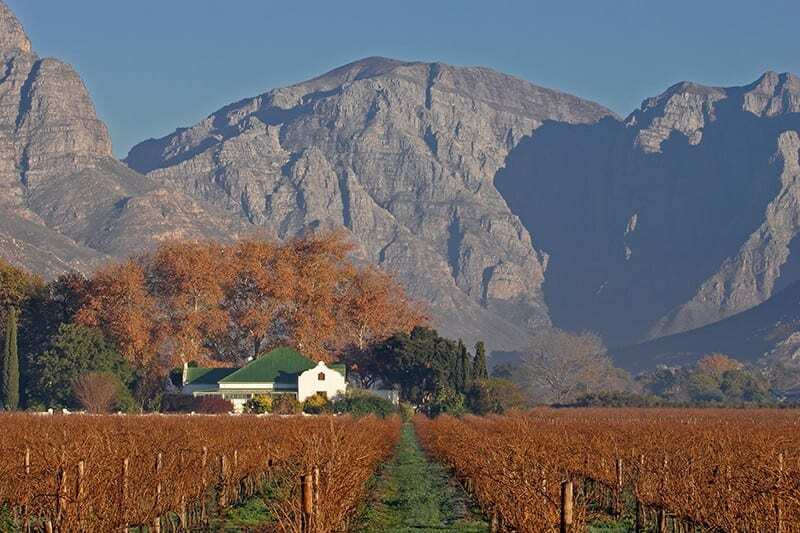 Journey by open-side tram through the rolling vineyards of the Franschhoek Valley and stop at some of South Africa’s oldest and most distinguished estates to liberally sample their classic wines (and cheeses too). Heading east from Cape Town, the Garden Route follows the scenic south coast passing through quaint towns and skirting spectacular sea-cliffs. 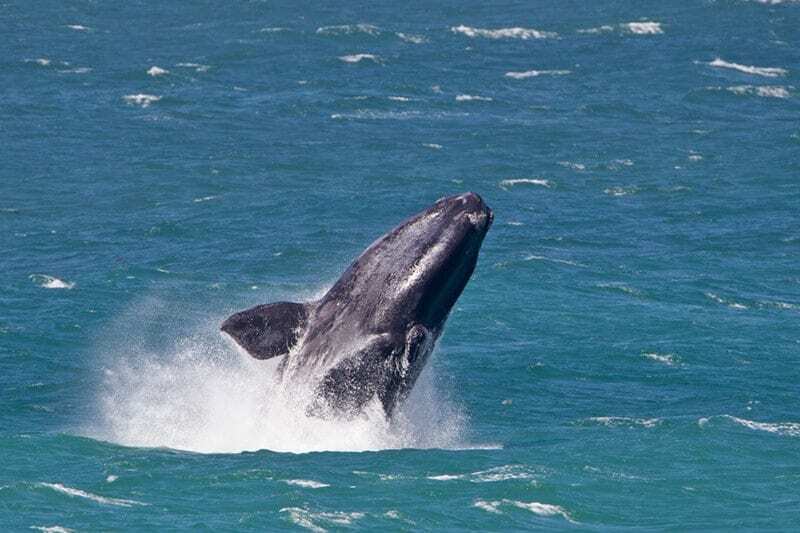 Key stops along the way include Hermanus which has the best land-based whale-watching in the world (August to November), Oudsthoorn, the base for exploring the magnificent Cango Caves, and Knysna, nestling on the banks of a beautiful lagoon. From here continue onwards through the Tsitsikamma Forest to Port Elizabeth. What to do: Self-drive, whale-watching, ostrich farms. The majestic Drakensburg are the country’s highest mountain range and offer superb hiking as well as being the important site for prehistoric San Rock Art in the large sandstone cave at Giant’s Castle, one of the best preserved examples of rock painting in southern Africa. North-east of the mountains are the Zulu Battlefields and the famous site of Rorke’s Drift where in 1879 British soldiers, outnumbered 35 to 1 held off 4,000 Zulu Warriors for 12 hours in an heroic defence of their mission station. South Africa’s premier game-viewing park, Kruger can be approached either by air from Johannesburg or by the magnificent Panorama Route which includes the 20-mile long Blyde River Canyon. Upon arrival the opportunities to see all of the ‘Big 5’ and the outstanding lodge accommodation make Kruger a major highlight of any South African itinerary. Soweto is a cluster of townships located on the south-western side of Johannesburg and is where most of the struggle against the regime of apartheid was fought. It is the site of many historically significant moments and these can be recounted as part of an organized tour that culminates with a visit to The Apartheid Museum which chronicles the story of 20th century South Africa. What to do: Have lunch at a local township tavern, museum visit. Being in the southern hemisphere, South Africa’s seasons are the opposite to our own in the UK. The most popular time to visit is October to April but note that game-viewing in Kruger is at its best between May and September. For families with young children seeking a malaria-free safari, the Kariega Game Reserve set within 10,000 hectares of pristine African wilderness offers ‘Big 5’ game viewing that does not require any malarial prescriptions being completely free of this mosquito-borne disease. The Kariega experience is fantastic for families as it offers guided bush walks, river cruises, canoeing and visits to the nearby golden beaches of Kenton-on-Sea. The best time for game-viewing in South Africa (May to September) rather unfortunately coincides with its coolest months so to add a beach stay we suggest taking a flight to the warmer climate of Mozambique’s Indian Ocean coast. June to October is the dry season with clear, sunny days and low humidity. One of Africa’s best-kept secrets, Mozambique has unspoilt sugary white sand beaches with world-class snorkeling and diving.